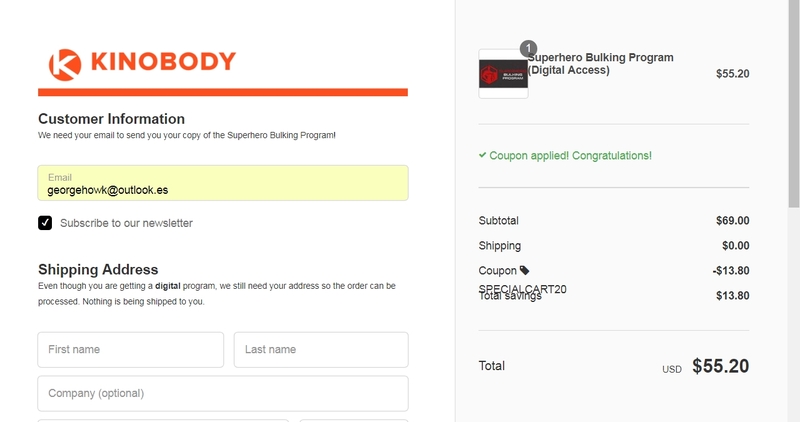 Carlos A. Madrid I am re-activating this expired deal. 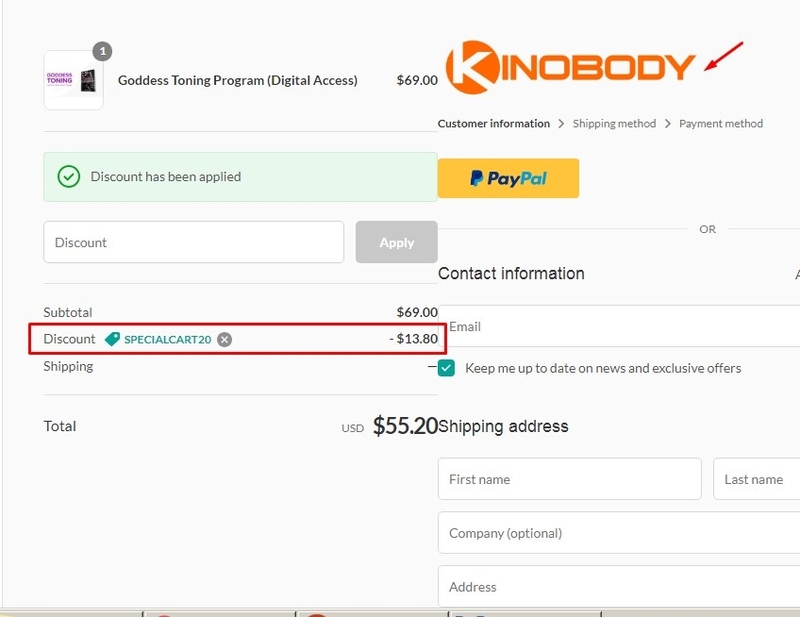 I verify and it works correctly as described, Simply enter the promotional code SPECIALCART20 and enjoy the Discount. David This deal was verified and it is working as described. 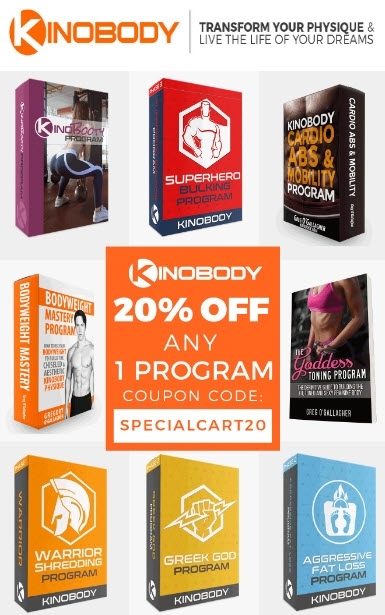 Select the items and enter the promo code <SPECIALCART20> at checkout to get 20% off your next order at Kinobody. 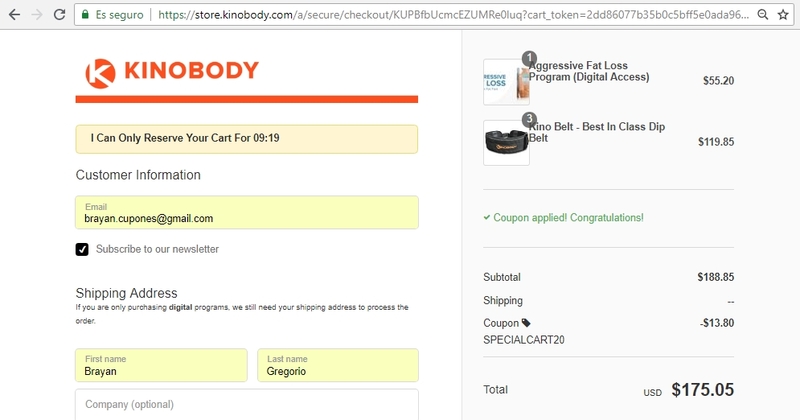 Ana del rio I am validating that this deal works as described, Enter and Get 20% Off Any One Digital Program at Kinobody.